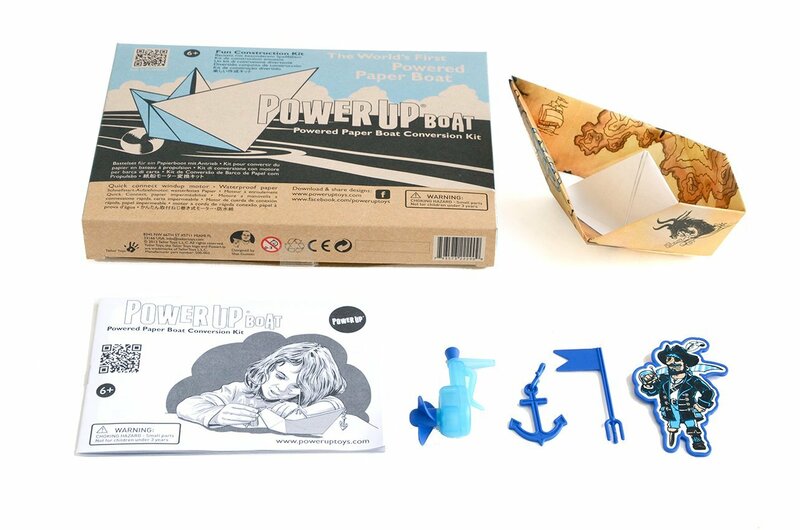 Take the classic origami paper boat to the next level with the PowerUp Boat. 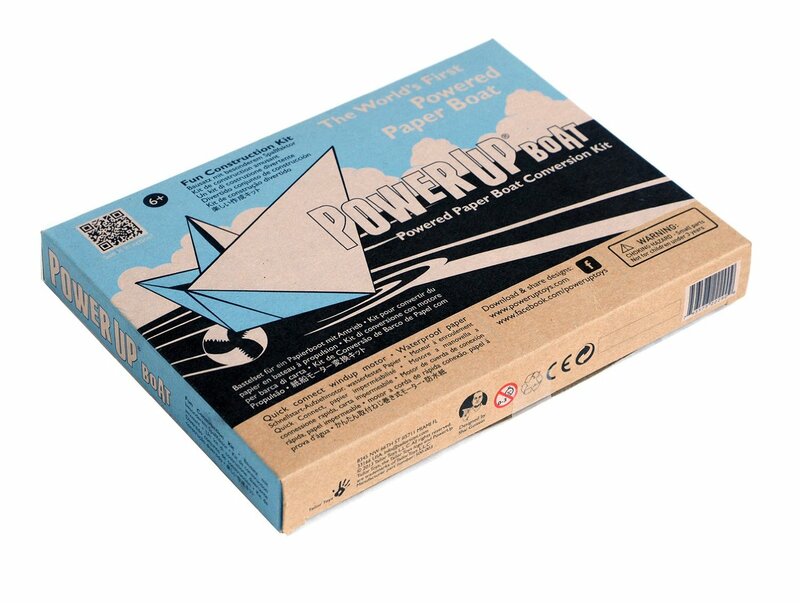 Fold a sheet of waterproof paper, add the propeller and launch it across the open waters for up to 10 seconds. A bathtub and pool toy that’s educational and fun! 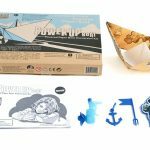 This kit contains everything you and your kids need to build a powered paper boat! 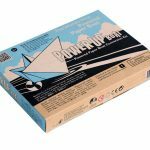 Once you have put your boats together, you can put them on water and watch them be propelled around! 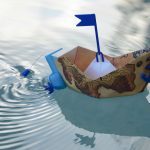 Learn how to build your origami boat while following the included step by step instructions. 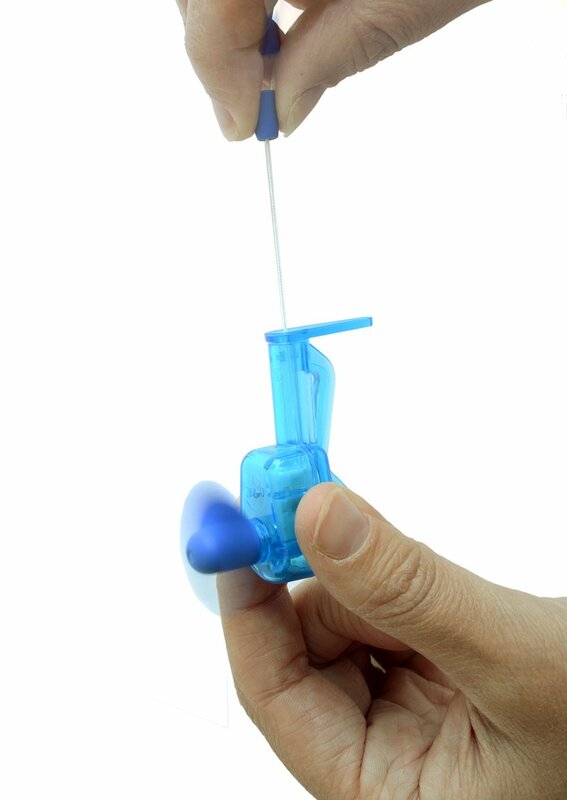 Then attach the little wind-up motor and accessories and you are ready to explore the limits of your imagination! 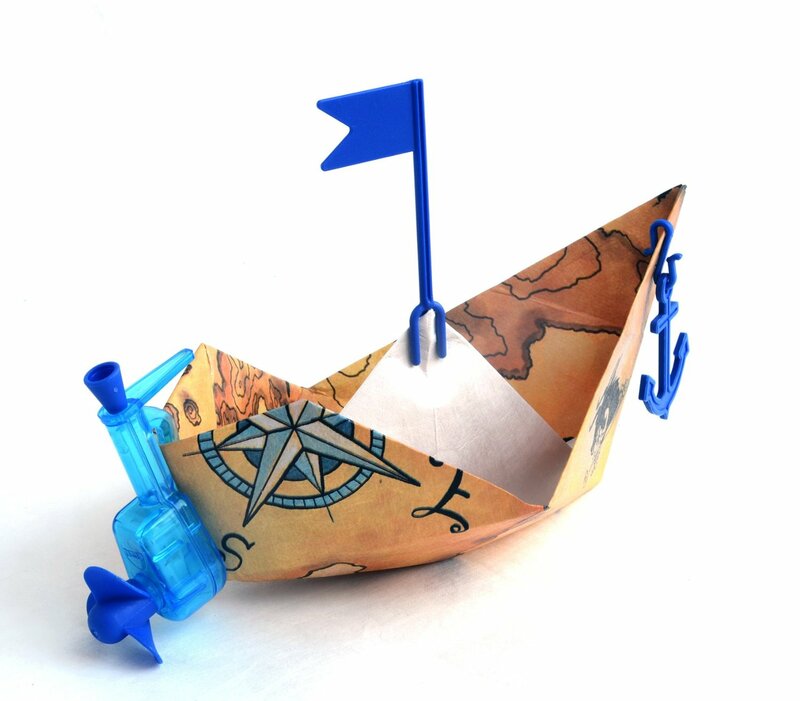 Accessories include an anchor, flag, and pirate. Each of them can be attached to your paper boat. Watch your boat as it cruises and sails across a pond, pool, or your bathtub! 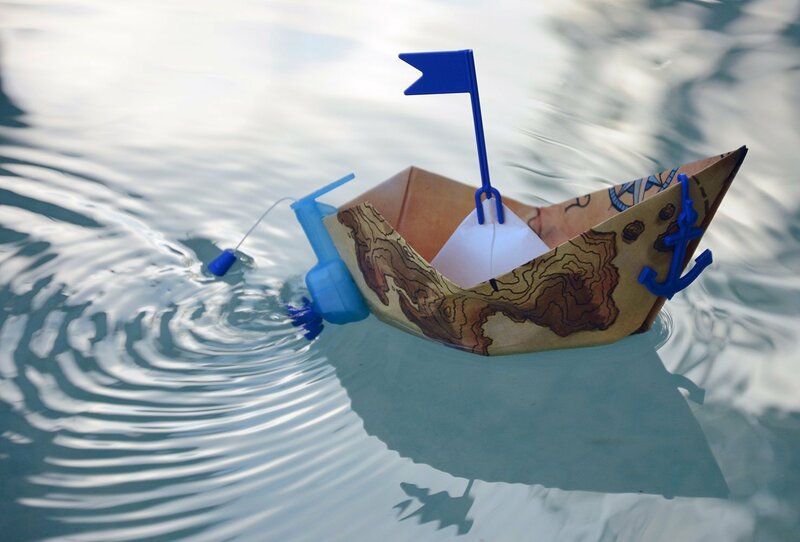 Leave the boat out to dry after play time and it will keep its shape and be ready for the next adventure!